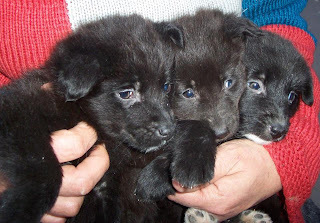 These babies have been found a couple of days ago by a lady, in Braila. The babies are outside in the cold winter, no protection whatsoever. Please help , offer them a forever or foster home and help us to get them to safety and a wonderful life.